Both Boulder City High School track and field programs placed first at Chaparral on April 26. Leading the way for the boys, seniors Buddy Boggs and Zach Trone teamed together to guide the Eagles (85) past Chaparral (73) and Cheyenne (18). Winning three events, Boggs placed first in the 110-meter hurdles (16.6 seconds), high jump (5-8) and pole vault (12-6), while Trone placed first in the discus (100-2) and shot put (41-3), while finishing second in the 100-meter dash (11.1 seconds). Fielding several first-place finishers, senior Briggs Huxford won the long jump (18-1), while junior Justice Tilman won the 300-meter hurdles (44.9 seconds). Sophomore Francisco Javier Milans Campbell placed first in the 3200-meter run with a time of 12:16.4, while freshman Jake Trone won the triple jump with a leap of 37-1.5. Senior Alex Krausman finished second in the 800-meter run with a time of 2:18.1, while freshman Sonny Peck finished second in the 110-meter hurdles (19.3 seconds) to round out the Eagles’ efforts. Also winning the event, the Lady Eagles tied with host Chaparral with an overall score of 67 points behind a strong effort from senior Taylor Tenney. Tenney placed first in the high jump (4-4), long jump (14-5) and triple jump (30-5.5), while placing seventh in the 100-meter dash (13.8 seconds). Senior Sierra Selinger and freshman Chloe Payne, placed first in the 3200-meter run and 300-meter hurdles, respectively. An all-around star against Chaparral, Payne also placed second in the triple jump (28-9.5) and third in the 100-meter hurdles (19.4 seconds), while junior Alyssa Williams placed second in the 100-meter hurdles (18.8 seconds) and 300-meter hurdles (1:00.1). Gaining success from their underclassman, freshman Christina Dunagan placed second in the pole vault (7-0), while freshman Sophie Dickerman placed third in the 1600-meter run (6:48.0). Sophomore Paige Kalastro rounded out the Lady Eagles’ efforts with a third-place finish in the triple jump (27-2) and fourth-place finish in the long jump (12-10.5). Peaking at the right time, Boulder City will end its regular season in the Grant Bushman Invitational on Friday at Moapa Valley High School. Boulder City High School boys swim team flexed its depth Saturday, April 28, at the Henderson Multigenerational Pool, defeating 4A Rancho 213-48. Sweeping all eight individual events, senior Clayton Pendleton and junior A.J. Pouch led the way, winning two events each. Showing their abilities heading into the postseason, Pendleton placed first in the 100-yard butterfly (59.47 seconds) and 200-yard freestyle (2:00.61), while Pouch placed first in the 50-yard freestyle (22.24 seconds) and 500-yard freestyle (4:50.43). Seniors Robbie Leavitt (100-yard breaststroke; 1:14.09) and Andre Pappas (100-yard freestyle; 53.69 seconds) each placed first, along with junior Chandler Larson (100-yard backstroke; 59.28 seconds) and freshman Joseph Purdy (200-yard individual medley; 2:12.94). Defeating the Rams as well, the Lady Eagles won six of the eight individual events, finishing with a 187-72 victory. Dominating the field, junior Rose Pouch won a pair of events for the Lady Eagles, placing first in the 100-yard butterfly (1:01.53) and 200-yard individual medley (2:09.03). Junior Annika Freiburger placed first in the 100-yard breaststroke (1:09.55), while sophomores Audrey Selinger (200-yard freestyle; 2:12.93) and Quinci Thomas (50-yard freestyle; 26.46 seconds) each placed first. Freshman Isabella Fecteau placed first in the 500-yard freestyle with a time of 5:56.29. Finishing the regular season undefeated, both teams will now focus their attention to the Class 3A Southern Region meet at UNLV on May 10. Boulder City High School boys golf team won their 3A Sunrise League play on April 26 at Painted Desert, finishing with an overall score of 330, their second lowest score of the season. Defeating rival Virgin Valley (396) and Somerset Academy-Sky Pointe (430), they finished league play on a high note, claiming all five top placings. Finishing atop the order, freshman Blake Schaper led the way with a score of 77 on the par-72 course. Senior Jackson Wright finished second with a score of 83, while freshman Kyle Carducci and sophomore Landon Key tied for third place with a score of 85. Sophomore Dustin Landerman shot an 89, placing fifth, while junior Chase Hamel tied for seventh with a score of 94. They played their last league match of the season Wednesday, May 2, at Coyote Springs; results will appear in next week’s paper. Riding momentum into the postseason, the Eagles will host the Class 3A Southern Region tournament Monday at Boulder Creek. Fighting to the very last point, Boulder City High School boys volleyball dropped a heartbreaker 3-2 to Chaparral on Tuesday. Taking the first set from the Cowboys, the Eagles held tough, falling 25-22, 14-25, 17-25, 25-11, 14-16. Forming an offensive attack, sophomore Preston Jorgensen and junior Karson Bailey generated 14 and 13 kills each. Sophomore Boen Huxford led the way with 20 assists, while supplying two blocks defensively. Hoping to end their season on a high note, the Eagles will host 4A Eldorado in their season finale tonight at 6. One of the Eagles three wins this season came against the Sun Devils on April 13. 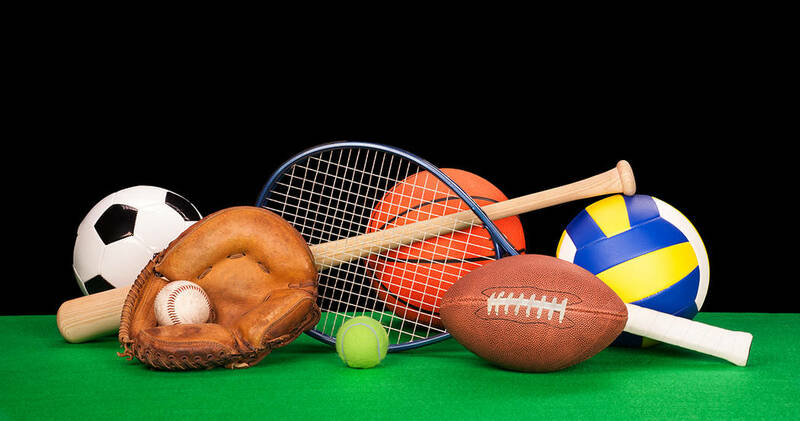 Friday, May 4, Grant Bushman Invitational at Moapa Valley, 2 p.m.
Friday, May 11, Southern Region tournament at Moapa Valley, 1 p.m.
Monday, May 7, 3A Southern Region tournament at Boulder City Municipal, 12:30 p.m.
Monday and Tuesday, May 14 and 15, 3A state championship, at Mountain Falls, Pahrump, 10 a.m.